Truly the Party of Treason – Tea Party Nation. If you wanted to bring the United States down, what would you do? Really. If you hated the United States and were in a position to end the American role as the sole military and economic superpower in the world, how would you do it. If you wanted to bring America down, would you do anything differently than what Barack Obama and the Party of Treason are currently doing? 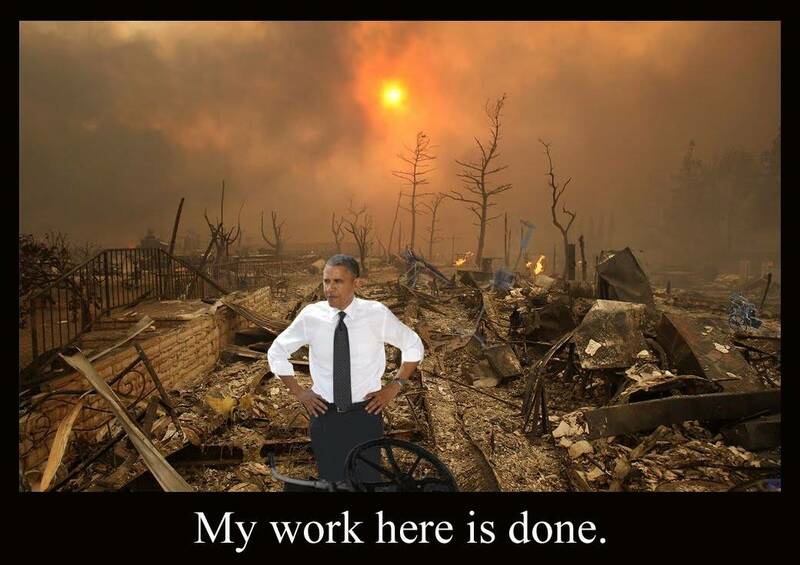 The latest effort from the Obama Regime is to de-power America. Well, we can’t say we weren’t warned. This week, the unelected, unaccountable bureaucrats at the Environmental Protection Agency released a set of proposed rules designed to target greenhouse gas emissions. If enacted, these rules would virtually destroy the coal industry – just as President Obama once promised he would do. Obama does not have to try and rule by fiat to destroy that which he does not like. He can simply make it impossible for that industry to function. That is what he is doing with coal. It will be impossible to get new coal fired plants online. If you are in West Virginia, it means massive poverty. If you are in parts of the South East and other areas where coal fired power plants produce the electricity, you are facing huge electric bills. Americans will not be able to run their air conditioners, their TV’s their lights and their other consumer electronics. American businesses are going to be forced to absorb and pass along greater costs, which will make America businesses less competitive in the world market. Man made global warming has been pretty much discredited and no one believes it unless their brain cells are on the endangered species list or your name is Al Gore. It does not matter what good the EPA does now, the evil it now perpetrates on America is simply too great. The EPA must be abolished. We can talk about what replaces it later, but it must go, while there is still an America left.